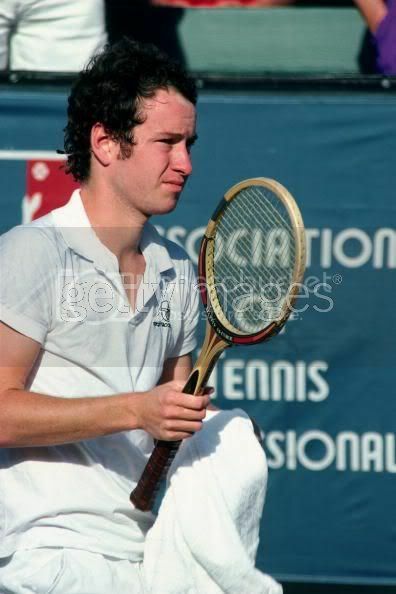 A Lacoste (IZOD) shirt, the "first tennis shirt", so to speak, would have to be my "co-favorite" tennis shirt though. Does Lacoste make IZOD or is it the other way around? Storm Kyori, see this Wikidpedia excerpt on IZOD which is no longer a part of Lacoste. In the early 1900s, Vincent Draddy, an American businessman started a men's apparel business and needed a strong name to associate with his quality merchandise. Vacationing in London, England, he encountered Jack Izod's tailor shop. Jack, a well-respected tailor who made custom shirts for King George V and other royalty, was ready to retire and accepted Draddy's offer to purchase the rights to his distinctive name. 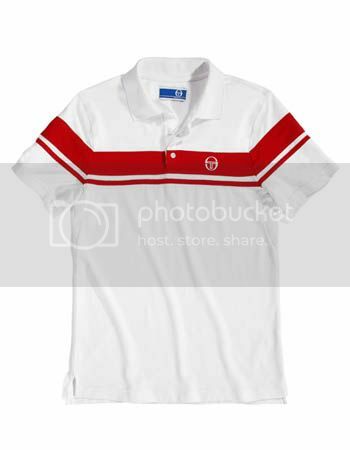 Izod is most notable for its pairing with the Lacoste shirt company from 1952-1993, known simply as "IZOD Lacoste". Vincent Draddy couldn't find a market for the then expensive $8.00 Izod Lacoste shirt. After Vincent began giving the shirts away to his famous friends, the shirts soon became popular with stores. While the shirts were equally IZOD and Lacoste, they became abbreviated and popularized as "IZOD" shirts which leads to the common misconception that the famous "Crocodile" is the "IZOD" trademark. The two companies enjoyed enormous popularity throughout the 60's, 70's, and 80's. Both were controlled by the David Crystal Company. In the early 1990's, due in large part of the economy and the growing trend of department store private-labels, Izod Lacoste struggled to maintain the dominance it had enjoyed in previous decades. 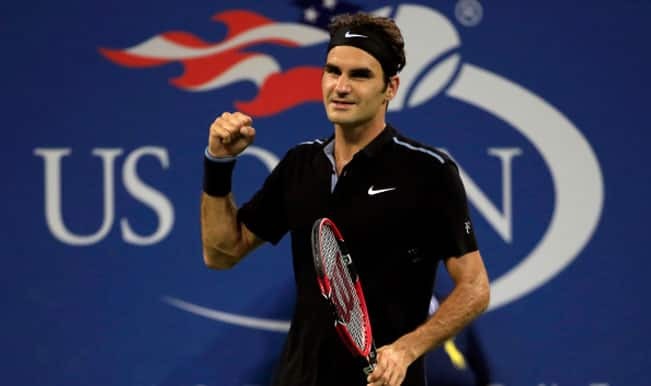 The initial reaction from David Crystal Company was to separate the two names and target two groups of costumers; Izod was re-introduced a mid-pricepoint and Lacoste was renamed Lacoste Chemise, and re-positioned as a luxury brand. Eventually this tactic did not provide the financial gain Crystal had hoped and the partnership in 1993. 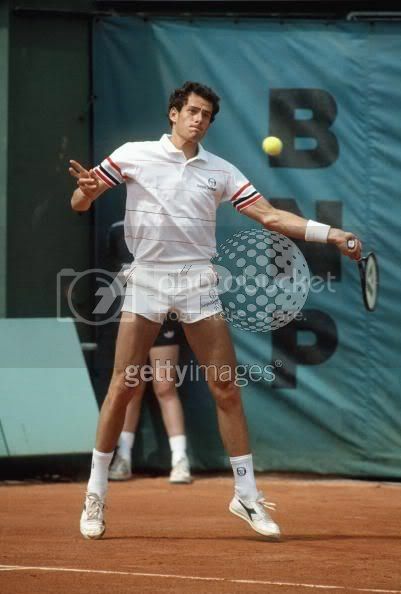 Lacoste was sold off back to France, while Izod was sold the Phillips-Van Heusen corp.
Nadal Sleeveless and 3/4 Capri !!!! I agree with the Spring '07 Fed Polos. I'm glad I at have the Glacier Ice one. (and Feather Light hat to match). 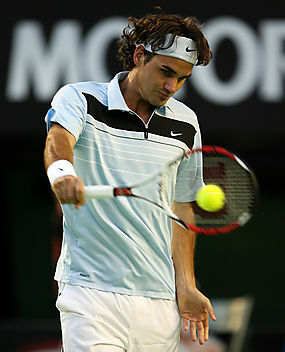 I also have the Black w/White shorts and White w/Black Global Control Shorts (that I'm lookin' to get rid of). In my opinion this is the best shirt. 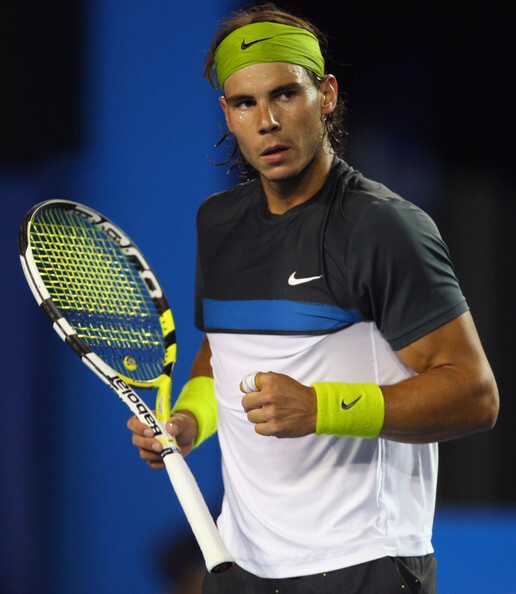 this Nadal Rotterdam crew is awesome. 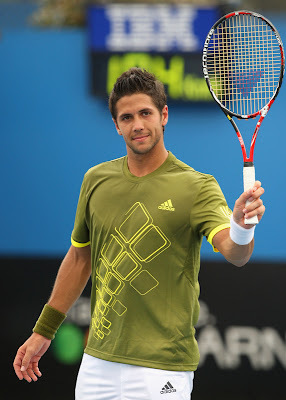 Also like the Aus open top he wore in 09 night matches. Would love to own both of these tops. 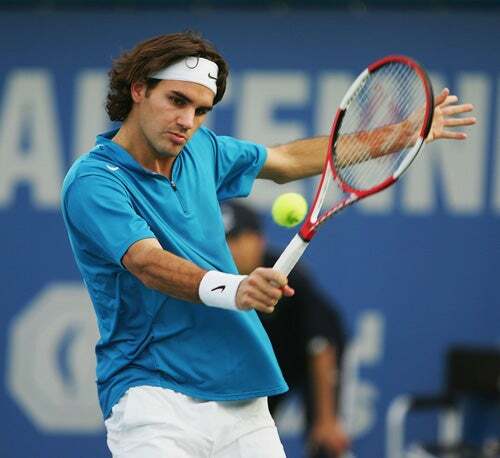 I really like this shirt but only in the blue though, unfortunately was not able to get it only the white and red was released in the country i am in, wanted to order it online but Nike didn't ship to outside the U.S.
French Open 2009, Pink Polo of course. If anyone has one in a M that they want to sell me, let me know!!!! Dying to get myself one. is that really pink or is the light just making it look that way? or is it red? I like the colors these came in. I got em all. My fav is the yellow n blue. Sadly, I find Nike's line has been showing signs of decline since 2008. 2010 line is just horendous. He is really looking good! Perfect color and perfect body ^_^. I mean come on, look at my name. And the shirt is very pink. 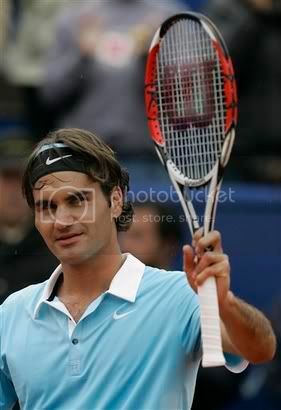 I would say when he wore it at the French Open it was very, very bright the retail version is a lighter version. Been looking everywhere for a medium. Contact me if you know where I can get one or if your willing to sell. Thanks. yup, hopefully i didn't sound like a jerk just then, but it's true. i've posted WTB ads and it takes a while to get hits, then new threads are posted and yours gets bumped down. More like compression shorts that were attached to the shorts. The Novak Djokovic Australian Open 2008 night match shirt. I can't find a place to buy anymore, I got mine at the Tennis Hall of Fame in Newport, RI. Definitely one of my favorites too! Saw him wear this at Cincy last year and bought myself one when they went on sale ($40 instead of $60)...haven't had a chance to wear it on the court yet, but it sure looks good in my closet! Hopefully when it warms up around here (NW Ohio) I'll get a chance to get out and have a hit and show it off. white with some yellow stripes and yellow shoulders. 2. The Chemise Lacoste original from 1933, made for the heat of the American summer. 3. 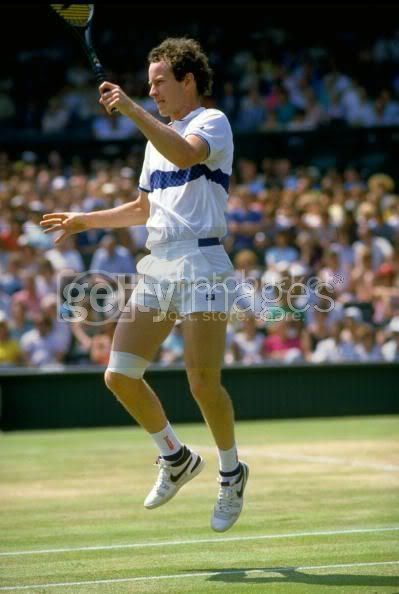 The aforementioned Tacchini shirt with the two stripes across the chest. And the other one, too. Johnny Mac. 4. Borg FILA. 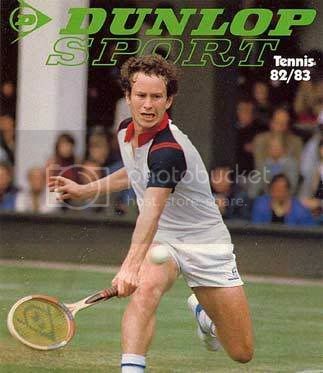 THE tennis boom of the late 1970s, personified. 5. 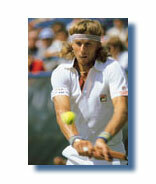 A white pique polo with pointy collar and three black or navy stripes down the shoulders, as rocked by the inimitable Ilie Nastase and Ivan Lendl (and many, many others). 6. Yellow pique polo with pointy collar - Fred Perry. Worn by basically all of us back in the 70s. 7. Loud Diadora yellow and blue - Guga. 8. Sergio Tacchini pastel: Mats Wilander - cheesy airbrush, circa 1989. 9. ST pastel: Patrick Cash - with the eleven stripes/bars. One stripe per part of his body that was generally injured or about to be. 10. 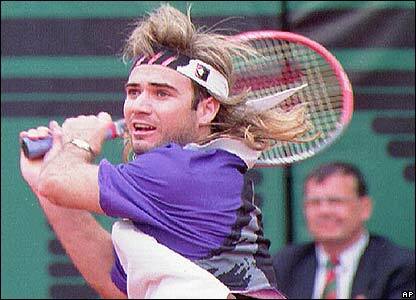 Jockey, as worn by the always fashionable Brad Gilbert. Kidding. That does not have a place in the top 100, but it does enjoy a spot just ahead of the pink shoulderbladeless number Hrbaty will be remembered for. 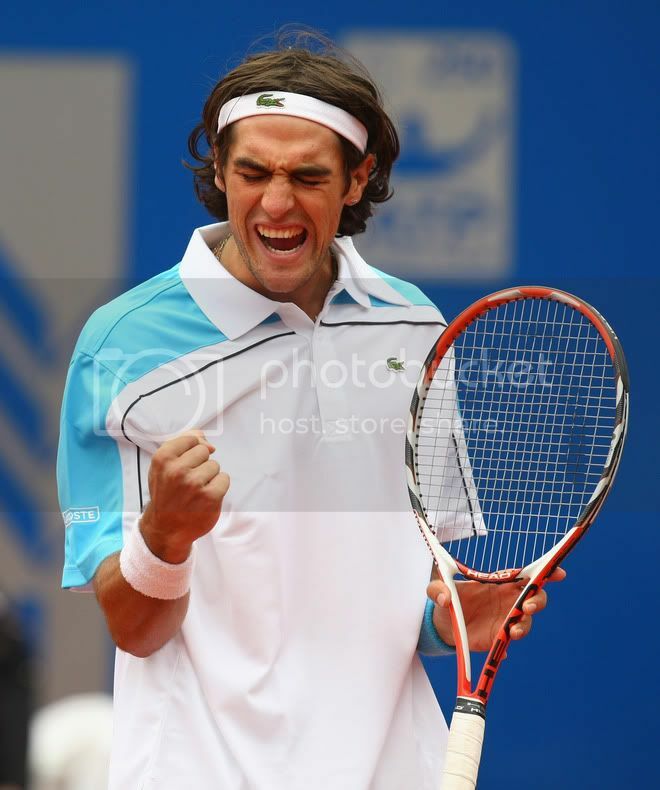 The real #10 is the Diadora navy and white jersey worn by David Ferrer a few years ago. I have one. Great fabrication, clean lines, slightly higher collar than the average tee-shirt. Side vents. VSBab... If you are such a big ST fan, why do you always wear Adidas?